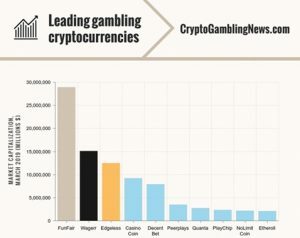 The market capitalization of cryptocurrencies dedicated exclusively to gambling currently sits at more than US$100 million, according to a new report from CryptoGamblingNews.com. However, that figure is well down on the US$1.5 billion in market cap experienced at the sector’s January 2018 peak, when gambling cryptocurrencies held a combined value of over US$1.5 billion. According to the report, gambling-specific cryptocurrencies are now starting to stabilize following a tough 12 months for the global cryptocurrency market. “The 2018 peak was fueled by speculation, but what we are seeing now is the emergence of a handful of platforms that are finally live and accepting wagers in these cryptocurrencies. The prices have reacted accordingly as demand for the coins increases,” a CryptoGamblingNews.com spokesman said. According to the report, the top 10 gambling-focused cryptocurrencies currently hold a combined value on trading exchanges of US$86.7 million, led by B2B blockchain gaming platform FunFair Technologies, whose FUN token reported trading volumes in excess of US$8 million over the past week alone. 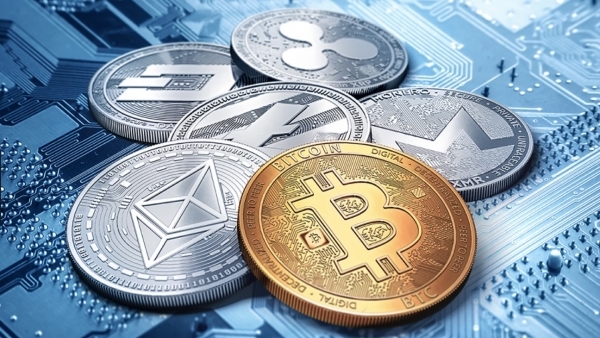 Gambling-focused cryptocurrencies are distinct from the broader crypto gambling sector, where Bitcoin remains dominant.